"The K-Metal from Krypton" was completed in late 1940 and would likely have been published that same year with a coverdate of early 1941. This would have placed it directly after the events of Action Comics #31 and Superman #7. 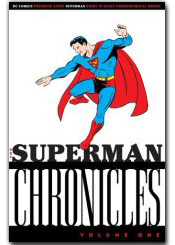 Reprints Action Comics #1 through #12, New York World's Fair #1, Action Comics #13, and Superman #1; all originally published in 1938 and 1939. By Jerry Siegel and Joe Shuster. Tales from Action Comics #14 through #20 and Superman #2 and #3, from 1939 and 1940. 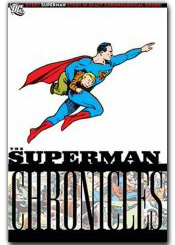 As with Volume One, all stories are by Superman co-creators Jerry Siegel and Joe Shuster. 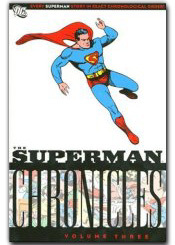 Continues reprinting Superman's adventures in chronological order from where Volume Two left off in 1940.